Refugees from the council, Tof, Bri and Gi land in Bear’s arms to discover safety and love. They’ve found a refuge from the council and its agents. Far from the council, they develop friendships and connection to their community. 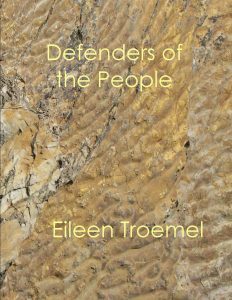 When that community is threatened, Tof, Bri and their five friends defend against the violence of their world to protect the people of the land. Along the way, secrets of their past are revealed and accepted, love is found, and danger is faced. I woke up on Thanksgiving 2010 with this idea in my head. It started with people hiding from the government who saw things being done which needed to be corrected. If they stood up for others, they would risk everything. Would they have the courage to do it? I’ve always liked stories like Robin Hood and King Arthur. This is in the same realm as those two stories. It’s about doing what’s right even at great risk to self. Strong characters are a must when I’m reading a book. I like to break the rules a bit. The “warrior” character is usually male so I made my warrior female. Not only is she female but she’s small and feminine looking. But put a sword in her hand, she can beat almost any warrior (except her mother who taught her). The “leader” is male but he has concerns he will turn out like his father (who caused a lot of problems and the downfall of the monarchy). He relies on the support of his people. He almost has too much integrity which is good. Tof walked to the hidden cupboard with the swords. Bear had a large collection he’d made over the years even though carrying a sword had been outlawed and making them without permission was strictly forbidden. Looking at the collection, he selected the oldest sword in the collection. It was the right length for Tof and always felt right in his hand. The leather sheath, like the sword, was simple and without adornment. He took it down and walked over to Bri. She didn’t take it from him. The five of them formed a circle around the two strongest magic makers in their group. They all had magic of sorts but Liza and Bri were strongest in the craft. When they were in place, Bri closed her eyes and began the blessing, “Goddess of the land, God of the woods, elements of the world, guide our hands this day. A leader’s sword lies before us. Bless the sword, that it be sheathed in times of peace and only drawn to defend those who cannot defend themselves.” As she spoke she placed her hands over Liza’s with the sword lying between them. Energy and light flared between Liza and Bri. The five in the circle could not move, held in place by the power called upon. Unseen voices murmured, fire flared, water rushed onto a shore, rocks tumbled down a mountainside, winds whipped as the two held the sword and the light shown. The light faded. Tof lunged forward to catch Liza as she fell away from Bri clutching the sword. Benry caught Bri who fell backwards. Everyone stood in stunned silence. They’d never seen or felt magic so powerful. “What’s that,” Benry asked turning Bri’s hand over. Just over the pulse point of her right wrist a picture of a leafy vine twined in a tight circle. It looked seared onto her wrist. “It doesn’t hurt,” she whispered hoarsely. Benry ran a tender thumb over her wrist and she didn’t flinch. Bri looked at Liza, her hands glowed. Alex took the sword from her and the light faded. Leaning against Tof, she looked at her hands. On her wrist, she had the outline of mountains. Hers didn’t hurt either. Both markings faded to be nearly invisible. Bic went to the drinking bucket in the corner and brought a ladle full to each of the magic makers. Benry lifted Bri onto the work bench so she could sit. Tof lifted Liza to sit next to her. The girls looked at the markings. “I touched it,” Alex stated. “It’s not your sword,” Liza said looking at Bri. “How do I know that?” Bri just shook her head. Molly held up her wrists and on her right wrist was a small bird. She had gotten a gift as well. Bic grumbled, “No fair. You guys get all the good stuff.” Bri laughed and tousled the boy’s hair. “It’s not a blessing but a promise,” Molly answered. Again the men looked askance at the women. “Are you going to keep doing that?” Alex asked. Liza, Bri, and Molly just laughed shaking their heads. “Do you need a couple minutes?” Tof asked. Molly took the sword from Alex, and shooed the men to the other side of the room. She brought Liza and Bri another ladle full of water. They took several moments to gather their energy. The blessing was done and it was time for them to acknowledge their leader. Tof stood in front of the other three men forming a half circle. Molly approached holding the sword in the flat of her hands. Liza, Bri and Molly completed the circle for a moment. Molly stepped forward to offer the sword to Tof. The magic of the oath surrounded them like a warm blanket, wrapping them in the power of the moment. No one moved. They stood with hands intertwined on the hilt of Tof’s sword. A light shimmered around them holding them entranced. The echo of their words rang true. As they faded, the circle broke apart. Laughing, they opened the door of the workroom and headed for the house. The sun had set and the full moon rose above the house. Gi opened the door when she heard their noisy conversation. She stepped out of the house and stood in front of the door. “Yes, ma’am,” Benry answered first. Bic let out a whoop. Tof stepped forward to accept the blessing his foster mother had just bestowed upon them with an embrace. Each member of the defenders followed his example.